Crystalcraft specialise in large or small commissions for the discerning buyer intent on creating an innovative and prestigious promotional image. Crystalcraft offer the finest range of glass and crystal products available. We have always recognised our clients have very special requirements with quality, service and reliability being paramount. Over the years our vast experience in this market has enabled us to ensure our manufacturing capacity is sufficiently high to allow us to undertake short lead times on both small and large quantities of glassware. All of our glassware is equally impressive in the home or office environment making us the perfect choice for all your glassware needs. 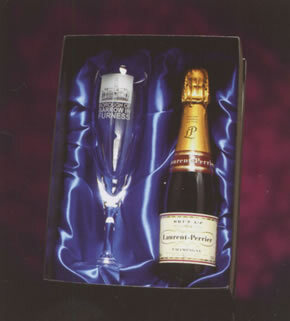 One of Crystalcraft’s more interesting commissions from a large UK glass manufacturer was to reproduce engraved glassware from the liner ‘RMS Titanic’, we engraved some 60,000 items over an eight week period. Most customers’ needs are, of course, more modest than the Titanic commission – However, EVERY customer is equally valuable regardless of the order size! We aim to provide the same standards of service to a customer ordering one or one thousand pieces!